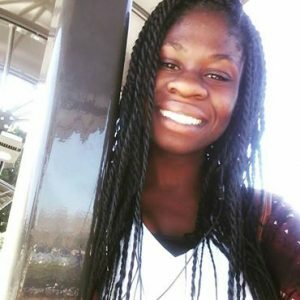 My name is Nikki Opara, I am 23 years old and a recent psychology graduate from California State University Fullerton. I am a Mental Health/ Lifestyle Blogger, with a passion for fighting the stigma around mental illness and encouraging young teens to never give up. I hope to attend grad school someday and pursue my masters in macro social work and global practice. – Nikki ( Her Daring Thoughts ). Every one of us gets a negative thought or two that flows into our minds. Not everyone is “Positive Nancy” 24/7 I guarantee you. But I will say this, the difference between you and the person next to you is that they have mastered the approach of combating Negative Self Talk when it comes. These are four things I am learning to do to help me combat negative self- talk. The sooner you realize that you are your own biggest critic, the faster you will be at recognizing the negativity you are telling yourself. It was a big eye opener for me when I had to come to the realization that although I have had my share of bullies from school, I am actually my own biggest bully. I can talk so low to myself to the point where I am in tears and wanting the day to be over. This is the most important step in combatting negative self- talk because now you know who to focus on, YOU. Because at the end of the day, YOU have the power to control YOU. Fact check your thoughts. Sit with it for a minute and ask yourself if the negativity you are saying over to yourself is factual or just your interpretation based on a current circumstance. Replace those negative comments with positive affirmations.“ I’m actually going to be okay” , “ I am capable and smart enough to pass the next exam, I just need to study harder”. There is so much power that is given back to you when you follow all the past three steps and then come to the positive affirmations. You will notice that as you practice these methods, you feel more in control of your thoughts and what you allow your mind and body to entertain. If there is something I have learned over the past 23 years of living, it is that there are already so many people in the world with negative things to say. You might as well be the nicest you can be to yourself. You owe it to yourself. You are going to be OKAY.